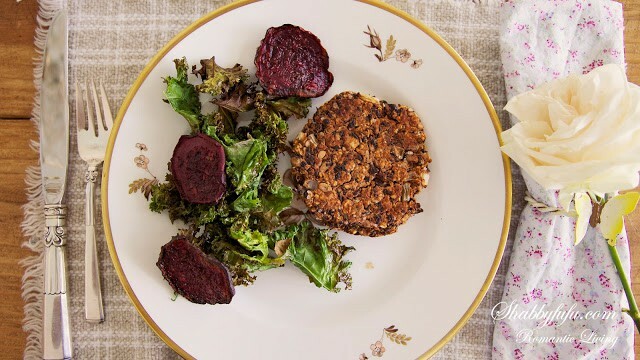 Quick healthy vegetarian burgers. 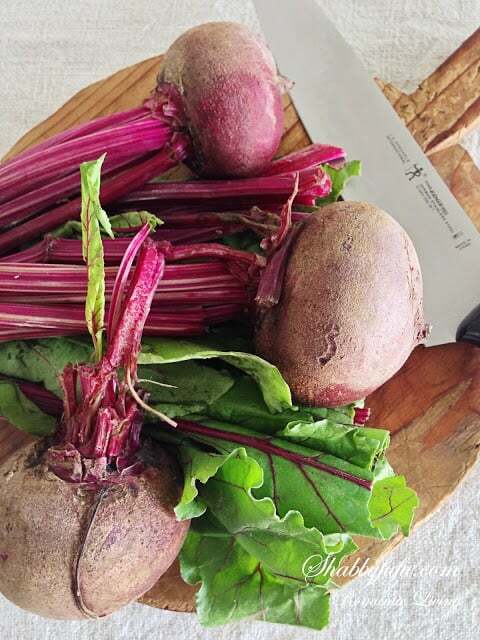 The makings of a healthy lunch in my fridge and pantry…fresh beets, kale and black beans. Fresh beets..I peeled them, sliced with my mandolin and roasted at 450 degrees in my oven for about 10 minutes (convection bake) with some French sea salt and olive oil drizzled over the top. They are done when crispy with a slight curl to them. Roast the Kale in the same manner…wash it first and take off any of the tough parts. I towel dried and put out in the sun for a bit to really dry them before baking. 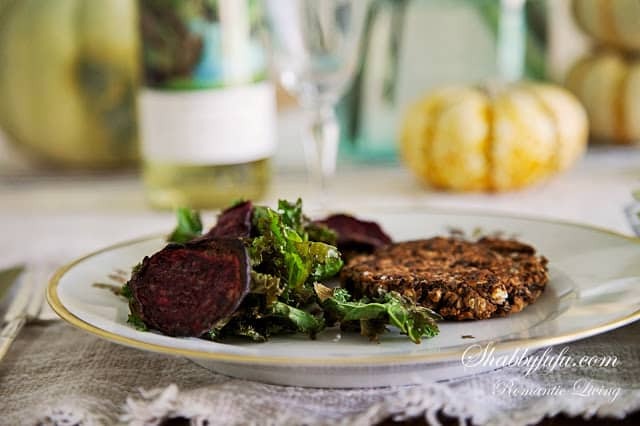 My quick healthy vegetarian burgers were made with a can of simple black beans rinsed, about (measurements approximate because I wing it or eyeball it) 1/3 cup or one packet of the quick cook oatmeal (not cooked! ), some chopped onion, about 2 tsp ketchup and 2 tsp Dijon mustard. Mash with fork and form into patties…I used a burger press. Bake at 400 degrees on a non stick pan for about 5 minutes, flip (handle with care) and give another 5 minutes. 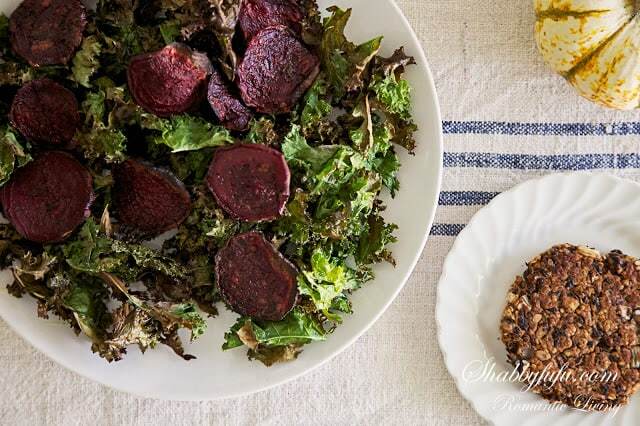 Tips:The beet and kale chips taste best if you eat them right away, as they lose the crispy taste if left out. They can be re-crisped by toasting in the oven for a few minutes again. The burgers taste best the next day to allow it some time to stick and meld the flavors. Yum, try them..I think that you will enjoy! The black bean patty looks good. Reminds me of the vegan ones at the grocery store but I bet yours is better! I can never eat enough beets!!! Yum I am going to have to try this!Sounds and looks delicious!